Just last week I had another opportunity to work with the amazing people at AIS and Consultants from Embark-CCT. 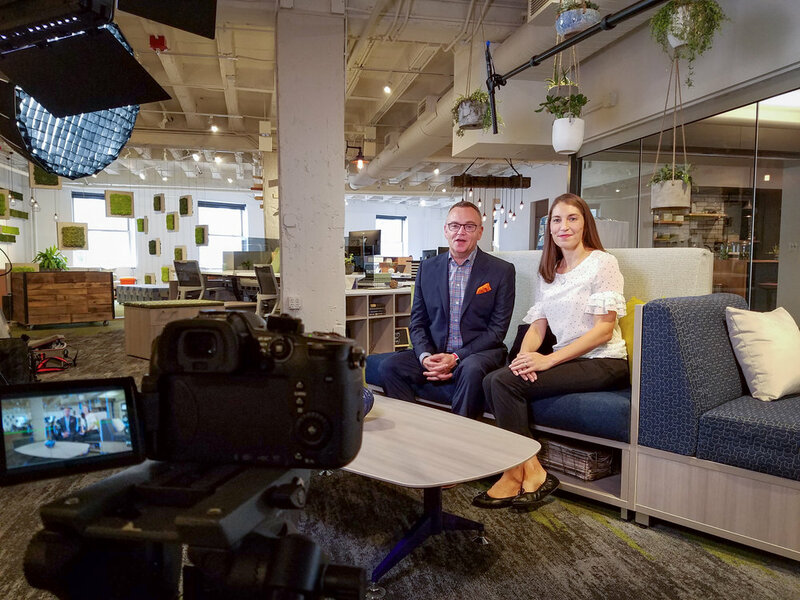 AIS is launching a new line of tables and planned to film a launch video for their clients and a sales training video for their staff. The shoot took place at the incredible AIS showroom in downtown Chicago. I flew out the day before so we would have an entire day to film. Production days tend to start on the early side to make sure there is time to get everything in and make sure no one feels rushed. Luckily, this project was mostly scripted and much of the planning was already out of the way, so it was just a matter of setting up lights, cameras, and sound before we got started. In less than a day, we filmed 8 different setups and showcased the product and all of its variations. In less than a week, we put together long form Product Showcase, a 90 Second Product Highlight, and a Sales Team Training Video. Take a look at the showcase below! If you or your company is in need of Film Production services, don't hesitate to reach out!